Born in the UK in 1987, Olly Moss has quickly become “one of the most in demand and influential pop culture artists in the world today” (Slashfilm) and if you have any passing interest in films, you would have seen his work scattered through the many film publications such as Empire magazine, where he was commissioned to create a number of excellent alternative movie posters. 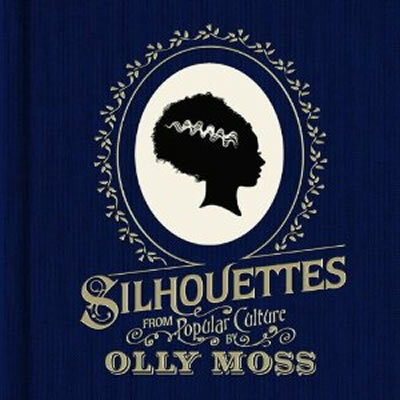 Apart from his amazing posters, Moss has also gained great acclaim for his “Paper Cuts” series, which is collected together in this great little publication, Silhouettes From Popular Culture. A lavish hardback collection of Moss’s sought-after series depicting popular characters from films, television and video games in beautifully crafted Victorian-style silhouette portraits. 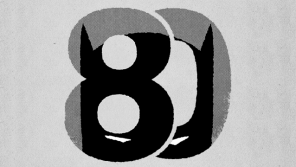 This book has some iconic characters from every form of popular culture, range from the standout world famous to the harder to figure cult classics. One personal favourite of mine is the selection of silhouettes from Saved by Bell, a guilty pleasure. Many of the silhouettes you’ll get first time but there are the odd few that will get the old brain cells working, but once you recognise them you’ll wonder how you never saw it in the first place. The craftsmanship and detail within each offering is amazing and are a joy to look and though this book is not extensive it is one of those lovely little books that you can pick and put down with pleasure and with ease, and with Christmas just on the horizon this book would make the ideal stocking filler for the film/TV fan in your life.